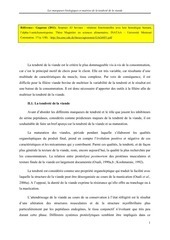 Ce document au format PDF 1.5 a été généré par Acrobat PDFMaker 9.0 Word 版 / Acrobat Distiller 9.0.0 (Windows), et a été envoyé sur fichier-pdf.fr le 13/03/2013 à 22:09, depuis l'adresse IP 195.221.x.x. La présente page de téléchargement du fichier a été vue 1178 fois. Taille du document: 1 Mo (11 pages). this differentiation phase) but not in myotubes. These two authors contributed equally to the work and to this report. 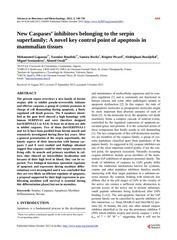 pseudo-irreversibly human initiator and effector caspases. to express pseudo-irreversible caspases inhibitor belonging to the serpin superfamily. stability of the cleaved loop-inserted conformation compared with the native-like conformation. transported to the distal part of the serpin and undergoes an irreversible deformation responsible of the enzyme inactivation . In (b) and (d) the inserted RCL is in purple. AT, antitrypsin or serpin A1. after heating in boiling water. and kass were determined for all strongly inhibited proteases. Elastase (HLE), human recombinant caspases 3 and 8. SI = [I]/[Caspase active sites]. make the second site unable to bind substrates. measurement and Km the Michaelis constant characterizing the affinity of the protease towards the substrate. the serine peptidases tested including Cathepsin G, Kallikrein, Urokinase, Plasminogen activator and Thrombin. most sensitive proteases. Significant kass are in bold. caspase) and human caspase 8 (apoptosis initiator caspase) [17-19]. analysis . Similar findings were obtained with bovSERPINA3-3 (results not shown). obtained for these two last enzymes are not of physiological significance [18,19]. itself and against calpains 1 and 2, two calcium dependant cysteine peptidases. Neither of these cysteine proteases was inhibited by the present serpins [18,19]. acid residue and ase is the suﬃx common to all enzymes. M–1·s–1 indicating that this inhibition is of high physiological significance . multiplication of the virus [23,24]. localization observed in skeletal muscle. and other closely related serpins (see below) was assessed by ELISA (Enzyme Linked ImmunoSorbant Assay) in different bovine tissues and fluids including bovine plasma, liver, kidney and bovine diaphragma muscle. is similar inside tissue cells and in blood is still unknown. run on a SP-Sepharose column (5 cm × 10 cm) and proteins were eluted using a NaCl gradient (Figure 4(a)). Mr, suggesting that the bovSERPINA3 comprised different closely related members. other method but not quantified . bovSERPINA3-1 (70 kDa) was loaded in the first well (A3-1). with the five N-glycosylation sites identified in the sequence of this serpin . encoding SERPINA3-like were mapped in rat on chroCopyright © 2012 SciRes. What about SERPINA3-like serpins’ genes in bovine? post-translational modifications (various degrees of glycosylation and phosphorylation) (see Figure 5). additional information about their structural and functional relationship. similarities with bovSERPINA3-1; (c) RCL sequence of the most divergent bovSERPINA3-7 and A3-8. 8 (Asp37 for A3-1 to A3-6; Glu39 and Asp39 for A3-7 and A3-8). 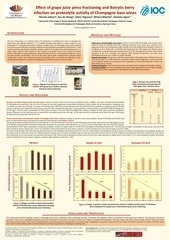 value of about 17 amino acids. the maximum length requested for serpin efficiency. caspases and to form SDS-stable complexes with them. is obviously not exhaustive and needs refinement. caspases could be the potential targets for such a function in myoblast differentiation. peptidases with specified protein activator complexes. Figure 7. Schematic and simplified diagram summarizing the major regulation points of the apoptotic process. stress to preserve all cell functions by protecting their targets proteins from any structural and/or activity loss. caspases at different stage of the process thus hindering their function [34,35]. and baculovirus p35—that are produced early in infection to suppress caspase-mediated host responses . Protease inhibitors generally work by preventing hyCopyright © 2012 SciRes. access of substrates to the catalytic centre of the protease. of small molecules substrates after IAP binding [24,38]. sen for endogenous caspase regulation in eukaryotic cells. against cell death by different still unclear mechanisms. presence of this peptidase . reminiscent fluorescence which must be very likely ascribed to myotubes which are still under differentiation. if we expect to better understand their biological functions and their exact role in apoptosis. 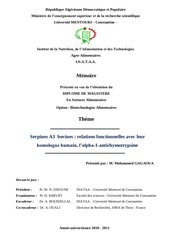 laboratory of our colleagues from the University of Constantine (Algeria) during the four last years. Hengartner, M.O. (2000) The biochemistry of apoptosis. and Huntington, J.A. (2010) Serpins flex their muscle: II. Structural insights into target peptidase recognition, polymerization, and transport functions. Journal of Biological Chemistry, 285, 24307-24312. Lewensohn, R. (1998) Higher spontaneous apoptotic index in small cell compared with non-small cell lung carcinoma cell lines: Lack of correlation with Bcl-2/Bax. function and metabolism. Protein Engineering, 2, 407415.
structures that shape caspase activity, specificity, activation and inhibition. Biochemical Journal, 384, 201-232. Foster, D.C., Mankovich, J.A., Talanian, R.V., Kisiel, W.
Reviews Molecular Cell Biology, 9, 231-241.
structurally similar but functionally diverse proteins. function. Chemical Reviews, 102, 4751-4804. Elliott, P.R., Pei, X.Y., Dafforn, T.R. and Lomas, D.A. the Protein Society, 9, 1274-1281. S.P., Kaiserman, D., Luke, C.J., Pak, S.C., Reichhart, J.M. The structure of a Michaelis serpin-protease complex. Nature Structural &amp; Molecular Biology, 8, 979-983.
by deformation, Nature, 407, 923-926. 1B isoforms. FEBS Letters, 580, 3477-3484.
in the Bos taurus 21q24 region, BMC Genomics, 9, 151.
of the kinetic parameters mediating protease-serpin inhibition. Methods, 32, 159-168. Horvath, A.J., Lu, B.G., Pike, R.N. and Bottomley, S.P. 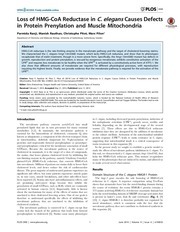 (2011) Methods to measure the kinetics of protease inhibition by serpins. Methods in Enzymology, 501, 223-235.
of Biological Chemistry, 281, 38781-38790.
inhibition. Trends in Biochemical Sciences, 27, 94-101. 280-kb region on chromosome I4q32.1. American Journal of Human Genetics, 52, 343-353.
human clade A serpins. Genomics, 81, 336-345.
genes reflect evolutionary divergence at the serpina3 locus. Journal of Molecular Evolution, 59, 488-497.
evolution and development: A model of thematic conservation. Developmental Cell, 15, 497-508.
chaperones. Medecine Sciences, 21, 619-625. Inhibitor of apoptosis proteins from laboratory to clinic. Cancer Treatment Reviews, 33, 203-212. 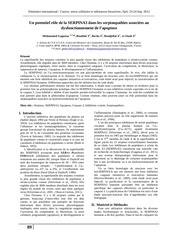 Immunologiae et Therapiae Experimentalis, 51, 19-27.
survival factor for cultured myoblasts. Journal of Biological Chemistry, 274, 9169-9174. Ce fichier a été mis en ligne par un utilisateur du site. Identifiant unique du document: 00161569.